The RPM is made to work for you and is completely customizable for your needs including: probe length, float type, specific gravity and outputs. 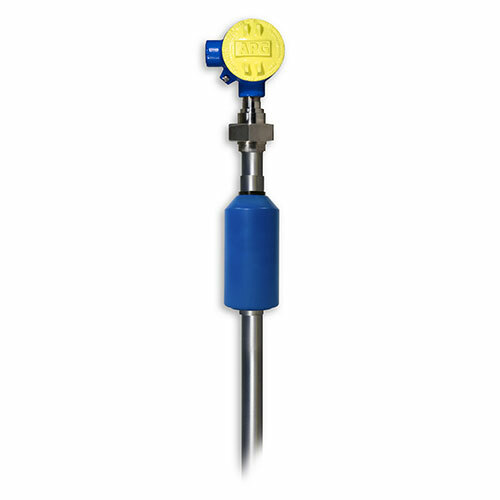 This float level transmitter is the ultimate in durability. It's commonly referred to in the field as a mud probe, one of the most demanding applications around. It's also well suited for extreme sewage level measurement and has PDA approval for marine applications. This level probe is built for heavy-duty applications that require ATEX/IECEx or CSA intrinsic safety, or CSA explosion proof certifications. Its large float works well in dirty environments, and has been proven for years in the oil & gas and wastewater industries. Probe length, float type, specific gravity, even outputs can all be customized to your needs. The RPM liquid level probe is meant to work for you. The RPM level float doesn’t struggle with many of the same variables that plague non-contact forms of measurement. With simple linear measurement, there is little that can disrupt the operation or the accuracy of the RPM.